Steele Pilates at Steps on Broadway. Photo by Paul B. Goode. 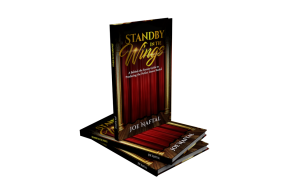 As a studio owner, you’re probably always thinking of ways to keep business strong, increase clientele and maintain status as a successful asset in your community. Have you ever considered that people besides dancers could potentially be clients at your studio? 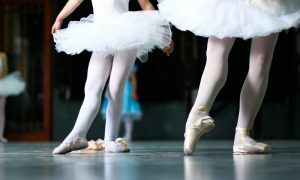 That even those without a dance background – or dancers who are also looking for a little something extra – can benefit from your studio’s offerings? Fitness classes are a great addition to a dance studio’s schedule, as they can increase clientele and revenue. Morning Fit at Steps on Broadway. Photo courtesy of Steps. 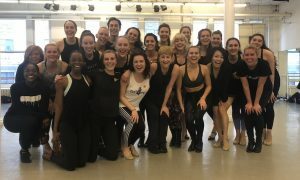 Steps on Broadway, for example, offers Pilates, yoga, Lastics Stretch, Gyrokinesis, Zumba, Cardio Dance, BootCamp and Barre, in addition to the hundreds of weekly dance classes. These fitness classes offer exercise options for not only dancers but also recreational dancers, adults, non-dancers and neighborhood locals. Thus, the addition of fitness classes can equate to more adult students, more drop-in students and, as a result, more revenue. When scheduling any fitness classes, consider the time of day. Morning can be a great time for parents who have just dropped off their kids at school and are looking to squeeze in some exercise, for instance. Afternoon can prove to be a convenient time for professional dancers to take a class in between rehearsals. And evening can be a good option for working clientele who look forward to their nighttime workout. Try surveying your studio parents and see what types of fitness classes they’d be interested in. Or share the importance of cross-training with your dance students and encourage them to sign up for an exercise class like yoga, Gyrokinesis or Pilates. 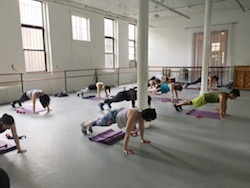 By including these types of classes in your studio’s schedule, you’re not only building stronger, healthier dancers, but you’re also working toward increasing revenue and community presence, making your studio an all-around successful one. 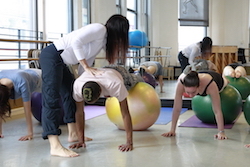 For a full class schedule at Steps on Broadway, visit www.stepsnyc.com.